Since I’m a crafty person, I knew that I wanted to give my maids gifts that were homemade. I ended up DIY-ing two of the three gifts – wedding day jewelery, and a cute tote bag. If you can sew, there are lots of free tutorials/patterns available on the web that you can use. 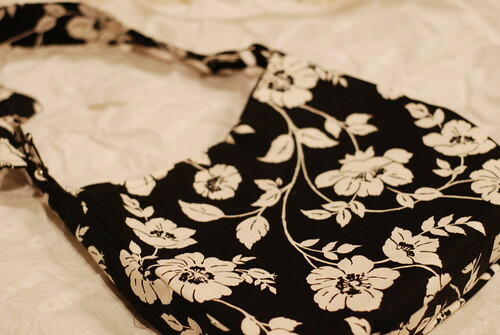 I found this cute Hobo Bag pattern at JCarolineCreative and used that. (BTW, JCaroline have lots of other great tote bag patterns and they also have fabulous fabric with 15% off until August 17th!). Each of the bags represented my sister’s personalities (my parents successfully guessed which bag belonged to which sister!). 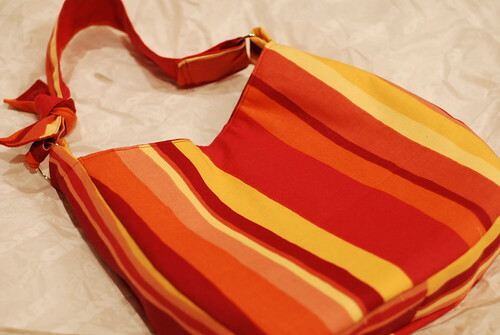 The bags were pretty simple to make (I made them about a week before our wedding – yes, I’m crazy), and my sisters all really liked them. The second thing I made for them was sets of jewelery that they wore on the wedding day. I had a like-minded creative friend teach and help me with making them, and they were surprisingly easy and really cheap to make! (And they looked great with their dresses!). Total cost for each bridesmaid gift was around $25 (plus my time!). Are you crafting anything for your bridesmaids, or have you found gifts that reflect their personalities? I’d love to hear about them! 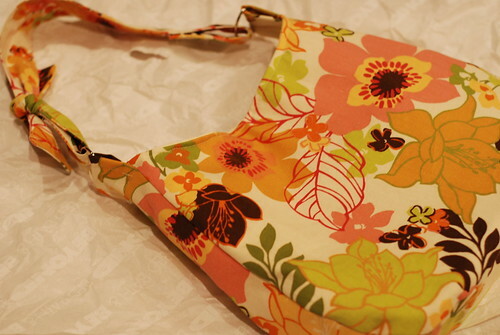 I really like the Buttercup bag design – might have to give it a go! Your bags turned out great – I’ll bet the sisters were all pretty chuffed. I want to screen print on some blank totes and make up survival kits for my BMs too. @mel The buttercup design is also my favorite! My sisters really liked them, especially as a couple of days before I gave them to them, they were talking about needing new bags! Screen printing blank totes is a really cute idea! I’ve also seen bags embroidered too (you can get the embroidery done at places that embroider baseball caps etc). 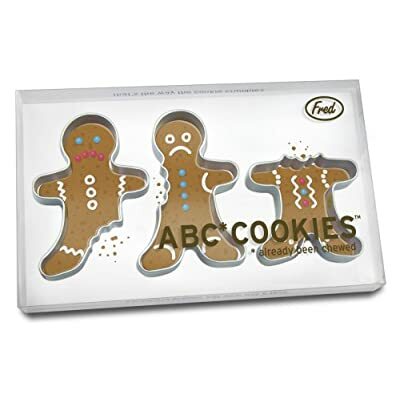 Those cookie cutters are to-die-for!!! Another web browswe has been opened to search specifically for Fred products! Thanks for the awesome new gimmick I can get obsessed with!